Tennis ace Rafael Nadal has been battling hair loss for many years, with his thinning hair becoming almost as big a talking point as his famous forehand ‘banana shot’ among some fans. In a bid to restore his hair to its former glory, the Spaniard was rumoured to have undergone hair transplant surgery at a Madrid clinic in 2016. However, less than two years later, his hair clearly began thinning again. Images from various tournaments in both 2017 and 2018 (pictured) have shown Nadal with a thinning crown as well as hairloss along his vertex (top of the scalp) – both classic signs of Male Pattern Baldness. According to new reports in El Mundo newspaper, Nadal is now considering a second hair transplant. Is more surgery the answer? Whilst some men do require more than one hair transplant procedure to gain the desired results, what is often crucial to preserve results is on-going aftercare. Failure to follow a comprehensive regimen utilising at least one of the clinically-proven men’s hair loss treatments designed to stabilise shedding and help with promoting hair growth, as well as preventing baldness moving forward, can lead to thinning of original hairs surrounding the grafts. The reason for this lies in the biological mechanisms involved in Male Pattern Baldness. After puberty, when the testosterone derivative dihydrotestosterone (DHT) finishes being useful, it heads to the top of the scalp and binds to those follicles in genetically-susceptible people. The follicles from the hairline and temporal regions, along the vertex to the crown are then gradually weakened by the DHT, which displays outwardly as gradually thinning hair and/or a receding hairline. This is an entirely natural process which, left unhindered, causes increasing hair loss and, in many cases, eventual baldness. 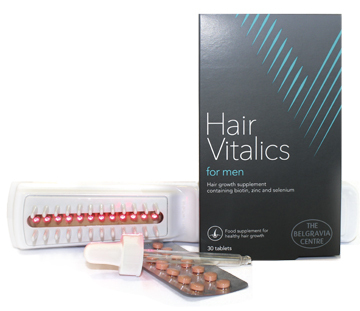 However, whilst there is no cure for Male Pattern Baldness, there are clinically-proven hair loss management solutions – both topical and oral – which can inhibit DHT and encourage accelerated hair regrowth. Given a hair transplant only replaces some of the affected hairs with follicles from parts of the scalp which are immune to the effects of DHT, the original hairs surrounding the grafts remain subject to this constant thinning. This is why many surgeons encourage men to follow hair loss treatment regimens on an on-going basis after surgery, in order to preserve their results and maximise hair growth. If Nadal has not had, or been following this advice, this could be the reason for his continuing hair thinning despite already having had one surgical hair restoration procedure. If someone has already paid the not inconsiderable sums involved in getting a hair transplant, not to mention the associated temporary discomfort, they are understandably going to want to see results. 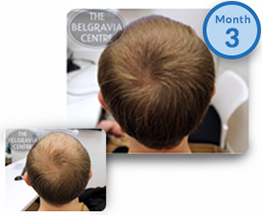 It can take around 12 months for the results of the surgery to be fully realised, so if the hair surrounding the grafts continues to thin, the results can look somewhat unnatural and potentially disappointing, especially if their rate of shedding is quite quick, or accelerated by factors such as stress. Whilst this may not be the case for every man, or it may take time to get to this point, the fact that DHT will continue to attack sensitive follicles remains. This is why professional hair specialist advice remains that preventative aftercare is so important. Anyone wanting further information about their own shedding, before or after a hair transplant, is advised to have a consultation. This way a hair loss expert can provide advice and recommendations for treatments and hair growth boosters based on the individual’s pattern and level of shedding, as well as their medical and lifestyle needs.